After you reach Lv 5, you may join or create a Guild. Guilds allow you to interact with other players in a centralized organization and provide you with exciting new features, skills and benefits that are unavailable elsewhere. 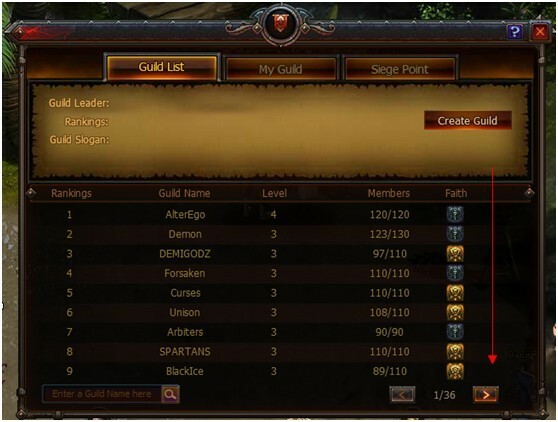 Guild List: A list of all the guilds on your server in descending order by rank. My Guild: Opens up the interface for your guild. Siege Point: Opens up the interface for the Guild Siege Point event. For more information, visit the Siege Point section under the PvP Category on the Wings of Destiny official website. Create Guild: Create a new guild. Click on the “Create Guild” button to enter the guild creation interface. 1. Select your Guild Faith:Radiance or Darkness. 2. 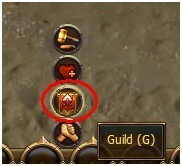 You must have a Guild Emblem to create a guild. You can purchase this using Cash or Vouchers from the Mall. 3. 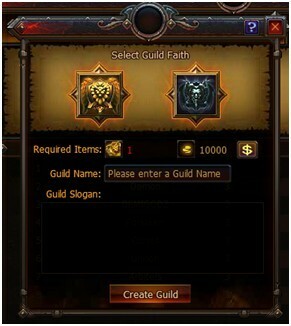 Enter your guild’sname and slogan, and then click on the “Create Guild” button to complete the guild creation. 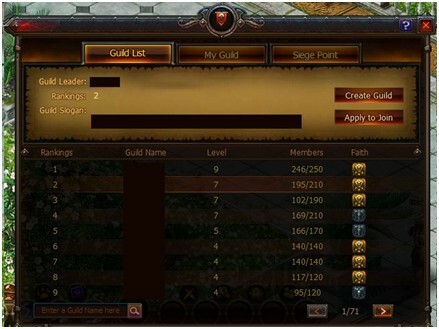 Click on the “Apply to Join” button to apply for entry into the guild.